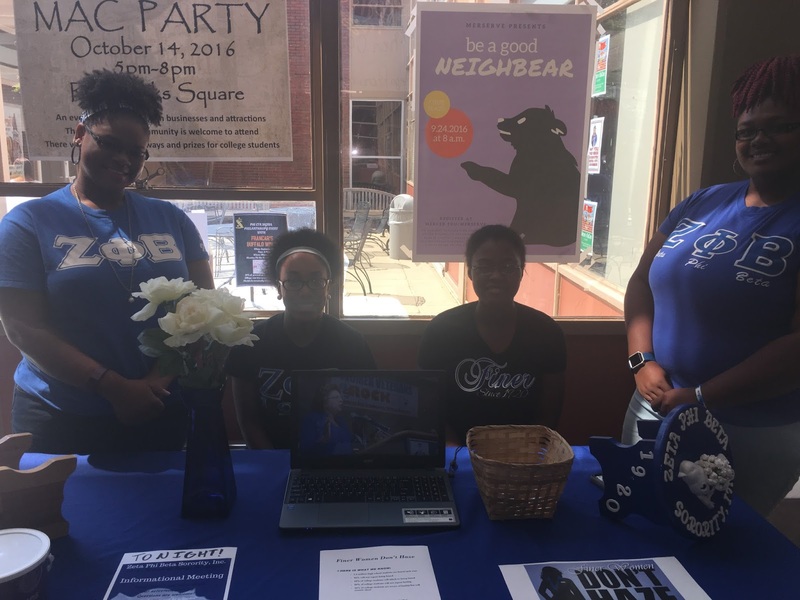 In the month of September, the Oh-So-Marvelous Omega Mu chapter held an awareness table in the campus student center at Mercer University. Passing students were able to watch the “This is Who We Are” video via the national website in order to learn about Zeta Phi Beta Sorority, Incorporated and the reasons and ways we are striving to bring about hazing awareness and prevention. 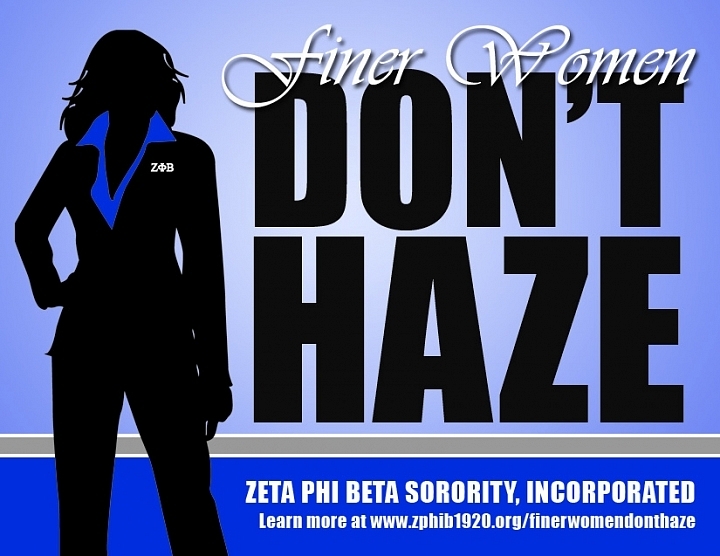 During this month, we also utilized the social media graphic “Finer Women Don’t Haze” as a part of the Z-HOPE initiative to raise awareness of our Finer Women Don’t Haze Campaign and inform fellow students that Zeta Phi Beta Sorority, Incorporated is an anti-hazing organization. On September 16, the chapter participated in the Mercer University’s National Pan-hellenic Council Week. This week included a church service, a Q & A session called “Why We Don’t Rush,” a talent show, a yard show, and a community outreach through donations to Loaves and Fishes. 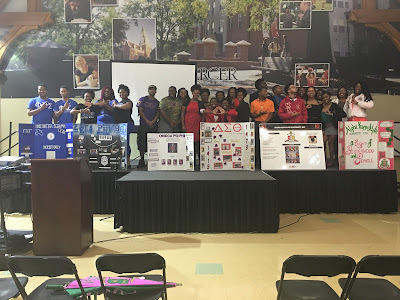 Finally, concluding events for the month of September, Omega Mu plans to work with the other sororities of the National Pan-hellenic Council and Panhellenic Council to increase visibility for the social sororities on campus through Mercer’s first ever, Greek Women’s Week. This week, September 26-30, will consist of service opportunities to raise funds and items for the Crisis Line & Safe House. We will also host positive and empowering social events with these organizations to engage the student body. Our chapter also plans to have a women’s health and awareness event focusing on Polycystic Ovary Syndrome (PCOS) on September 29 at 7:20PM. This event will consist of a brief informative presentation about the hormonal disorder followed by local physicians and testimonial guest speakers.